Fourteen years ago today, Ronald Wilson Reagan, the 40th president of the United States, died in Los Angeles at age 93. He passed away after a long struggle bravely fought with Alzheimer’s disease. 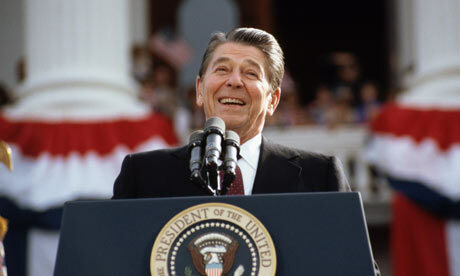 Over the years we have posted many stories about all that President Reagan did for the Movement. Just think about it. He wrote a book about abortion, “Abortion and the Conscience of a Nation.” He fought infanticide, abortion’s evil twin. He introduced the topic of fetal pain at the convention of the National Religious Broadcasters. The President instituted the Mexico City Plan, to name just a few. The values and freedoms we cherish as Americans rest on our fundamental commitment to the sanctity of human life. The first of the “unalienable rights” affirmed by our Declaration of Independence is the right to life itself, a right the Declaration states has been endowed by our Creator on all human beings — whether young or old, weak or strong, healthy or handicapped. Since 1973, however, more than 15 million unborn children [now more than 57 million] have died in legalized abortions — a tragedy of stunning dimensions that stands in sad contrast to our belief that each life is sacred. These children, over tenfold the number of Americans lost in all our Nation’s wars, will never laugh, never sing, never experience the joy of human love; nor will they strive to heal the sick, or feed the poor, or make peace among nations. Abortion has denied them the first and most basic of human rights, and we are infinitely poorer for their loss. We are poorer not simply for lives not led and for contributions not made, but also for the erosion of our sense of the worth and dignity of every individual. To diminish the value of one category of human life is to diminish us all. Slavery, which treated Blacks as something less than human, to be bought and sold if convenient, cheapened human life and mocked our dedication to the freedom and equality of all men and women. Can we say that abortion — which treats the unborn as something less than human, to be destroyed if convenient — will be less corrosive to the values we hold dear? We have been given the precious gift of human life, made more precious still by our births in or pilgrimages to a land of freedom. It is fitting, then, on the anniversary of the Supreme Court decision in Roe v. Wade that struck down State anti-abortion laws, that we reflect anew on these blessings, and on our corresponding responsibility to guard with care the lives and freedoms of even the weakest of our fellow human beings. Now, Therefore, I, Ronald Reagan, President of the United States of America, do hereby proclaim Sunday, January 22, 1984, as National Sanctity of Human Life Day. I call upon the citizens of this blessed land to gather on that day in homes and places of worship to give thanks for the gift of life, and to reaffirm our commitment to the dignity of every human being and the sanctity of each human life. In Witness Whereof, I have hereunto set my hand this 13th day of January, in the year of our Lord nineteen hundred and eighty-four, and of the Independence of the United States of America the two hundred and eighth.